FOR IMMEDIATE RELEASE — July 14, 2017, Los Angeles, CA — Thursday morning's 69th Annual Primetime Emmy® Awards announcement boasted a total of 16 nominations for AFI Conservatory and AFI Directing Workshop for Women alumni. Altogether, 52 AFI alumni worked on 26 of this year's nominated programs — higher than last year. Among the AFI alumni nominees are: Jay Cassidy (AFI Class of 1976), Outstanding Single-Camera Picture Editing for THE NIGHT OF; Frederick Elmes (AFI Class of 1972), Outstanding Cinematography for THE NIGHT OF; Sam Esmail (AFI Class of 2004) and Steve Golin (AFI Class of 1981), Outstanding Creative Achievement for THE MR. ROBOT VIRTUAL REALITY EXPERIENCE; Nick Higgins (AFI Class of 2002), Outstanding Cinematography for O.J. : MADE IN AMERICA; Lesli Linka Glatter (AFI Directing Workshop for Women, Class of 1982), Outstanding Directing for HOMELAND; Lee Metzger (AFI Class of 2000), Outstanding Reality-Competition Program for THE VOICE; Michael Zam (AFI Class of 1985), Outstanding Limited Series and Outstanding Writing for FEUD: BETTE AND JOAN; and more. 81% of AFI alumni report that they are working — and at prestigious, award-winning and record-breaking levels led by director Patty Jenkins (AFI Class of 2000) and her cultural phenomenon WONDER WOMAN. In 2017, alumni awards have included: three College Television Awards (Student Emmys®) from nine nominations; two Daytime Emmy® Award wins from nine nominations; a Grammy Award® for Best Music Video; an Academy Award®nomination for Best Live Action Short; a Golden Globe Award; three Producers Guild of America Awards; two Writers Guild of America Awards; three NAACP Image Awards; two Critics' Choice Awards; and much more. The AFI Conservatory offers a two-year Master of Fine Arts degree in six filmmaking disciplines: Cinematography, Directing, Editing, Producing, Production Design and Screenwriting. Aspiring artists learn from the masters in a collaborative, hands-on production environment with an emphasis on storytelling. AFI Conservatory alumni have been consistently recognized with all of the major industry awards — Academy Awards®, Emmy®Awards and guild awards — as well as Tony Awards® and Grammy Awards®. Esteemed director, producer and screenwriter James L. Brooks serves as Artistic Director of the AFI Conservatory, providing creative leadership for the elite film program. 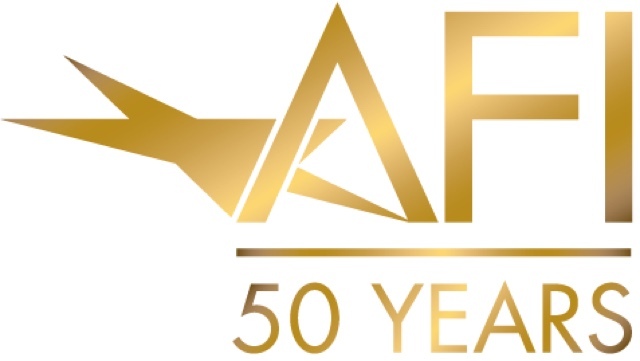 Proud supporters of the AFI Conservatory are American Airlines, the official airline of AFI; and VIZIO, the official home theater sponsor of AFI. Founded in 1974, the AFI Directing Workshop for Women is a hands-on training program committed to increasing the number of women working professionally in screen directing. The innovative and tuition-free workshop is open to women with three years or more of professional experience in the arts, providing them an immersive opportunity to learn by doing — with each participant required to complete a short film or series by the end of the program. Since DWW's inception, it has trained more than 300 women in screen directing — with Maya Angelou, Anne Bancroft, Neema Barnette, Pippa Bianco, Tricia Brock, Ellen Burstyn, Rebecca Cammisa, Dyan Cannon, Hanelle Culpepper, Jan Eliasberg, Naomi Foner, Jennifer Getzinger, Lyn Goldfarb, Randa Haines, Sian Heder, Victoria Hochberg, Marianne Jean-Baptiste, Lesli Linka Glatter, Lynne Littman, Matia Karrell, Nancy Malone, Sarah Gertrude Shapiro, Becky Smith, Cicely Tyson and Joanne Woodward included among its distinguished alumnae. The AFI Directing Workshop for Women receives generous support from Twentieth Century Fox, the Hollywood Foreign Press Association, Lifetime, the Will & Jada Smith Family Foundation, Comcast/NBCUniversal, Google, the Academy of Motion Pictures Arts & Sciences, Indiegogo, the Adrienne Shelly Foundation, the Jean Picker Firstenberg Endowment, The Nancy Malone Endowment provided by The Bob and Dolores Hope Charitable Foundation and the Estate of Nancy Malone and the many individual supporters committed to providing opportunities for women in the media arts. For more information visit: AFI.com/DWW. In addition to the AFI Conservatory, AFI programs include the AFI Catalog of Feature Filmsand the AFI Archive, which preserve film heritage for future generations; the AFI Life Achievement Award, the highest honor for a career in film; AFI AWARDS, honoring the most outstanding movies and TV series of the year; AFI's 100 Years...100 Movies television events and movie reference lists, which have introduced and reintroduced classic American movies to millions of film lovers; year-round and special event exhibition through AFI FEST presented by Audi, AFI DOCS and the AFI Silver Theatre and Cultural Center. For more information about AFI, visit AFI.com or connect with AFI at twitter.com/AmericanFilm, facebook.com/AmericanFilmInstitute, instagram.com/AmericanFilmInstitute and youtube.com/AFI.